This is a proposal to introduce your esteemed Organization regarding the health services we provide. We have team of lifestyle expert, Exercise Coach), Ayurvedacharyas, Yoga experts and General Physician. We organize different kinds of School health programs as per the need of the organization. If you want arrange any such kind of event with us kindly do let us know. The key motto of Nutri Well is to provide comprehensive solutions to lifestyle and lifecycle related medical conditions through provision of Nutritional and Naturopathic Therapy. Nutritional therapy intrinsically involves the remodeling and restructuring of routine diet cycle built upon close scrutiny of individual diet patterns. In Nutri well Nutrition Professionals help individuals to fight against specific illnesses as well as help them to change their day to day life style. Nutri-Science is another special Mantra of our clinic that instigates the body’s self-care mechanism to put on its armour and ward off any diseases from its way. One thing that this therapy does unlike most other therapies is to eliminate the very cause of an ailment rather than treating the symptoms. We provide special programs to educational institutions to promote healthy eating among the kids. Workshops:Nutri Well organizes various workshops as per the requirement of particular organization with an aim to sensitize the participants to the concept of Healthy living, wellness and to clear their doubts and queries. Nutri well‘s door step service:We offer one to one consultation at the doorstep of our clients. We also organize health Camps, Preventive Health Check-ups, Nutrition consultations as per the requirement of the firm. Personal visits at our centers: Our services can be availed at our centre. 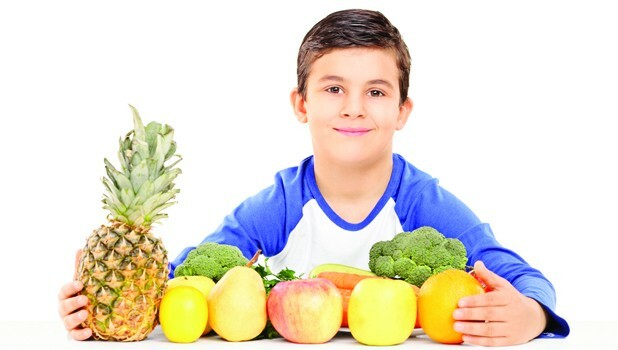 Seminars: We organize seminars for the Moms and Kids and educate them regarding healthy eating. Our other services includes Specific Medical Disorder’s Nutrition Consultation, Diet planning, Seminars, Lectures, Menu planning, Cafeteria Audits, health Camps, Preventive Health Check-ups, Nutrition Workshops. We also conduct Nutrition Awareness Programs for Hospitals, NGOs, Companies, Schools, Colleges, and Clubs etc. Dr Surabhi Jain is a celebrity nutritionist and health professional with more than a decade of progressive experience in the sector. Dr.Surabhi is a doctor by training who later, went on to pursue a Masters’ in Business Administration and post-graduation in nutrition from the esteemed Public Health Foundation of India.In the earlier part of her career, as a public health professional, she worked extensively in maternal, child health and nutrition. Her earlier public health stints with professional bodies, government and NGO’s like FHI, UNICEF , HLFPPT, GOI, MOHFW etc. became the drivers of her passion to finding organic and non-medicalized solutions to health issues. She is the Founder of “NUTRIWELL India”, one of the leading consultancies in Nutrition and Lifestyle Management. She has been the guiding force for team Nutriwell India to provide context based, nutrition and dietary solutions for health problems.In partnership with corporates and NGOs, she has led numerous workshops and knowledge sharing sessions. Even to date, with innumerable success stories and testimonials to her account, she drives her passion to give indivualized, patient centric care. She is Nominated for Excellence in Health care by FICCI FLO ( Uttar Pradesh Chapter). She is chosen among the few mentors from India for women Entrepreneur WE CAN Program by Cherrie Blair foundation and US Embassy with DRITI. She is awarded for Excellence in Health care by CWF and for excellence in health care by Hindustan Times . Feeding toddlers can be challenging. They are often picky eaters, they seem stuck on one food at a time, and they often don’t seem to eat very much! Many parents worry that their toddler isn’t getting all the nutrients they need to support their active bodies. Some foods are better than others, but which ones? You can’t force your child to eat, but you can make life a little easier by buying the right food, preparing it nutritiously and serving it creatively. Terrific Toddlers! will take the guesswork out of feeding your child. How to feed your child in order to prevent and treat various ailments (e.g. gas, tummy ache, constipation, diarrhea, headaches, vomiting, ear infections, colds, poor sleeping, and more). how you feed your toddler is the most important indicator of their health and happiness. Please call Dr Surabhi Jain, 91-9648888820 for more details. The choices you make concerning what you feed your children will affect every single area of their lives. It will affect how they feel, how much energy, strength and brain power they will have, how they look and whether they will age with vitality or not. Children of this age are growing, exercising their independence and are often wanting to follow their peers. How can you provide your child with healthy food options without causing your child to rebel? Smart Eating For A Healthier Child will take the guesswork out of feeding your child for optimal health. Easy, delicious, healthy ideas for breakfast, lunch and dinner – no recipes allowed! You can determine the real problem behind weight gain, acne and PMS and use food as part of the solution. Some foods are better than others when it comes to healthy hair, clean skin, more energy and feeling better about yourself! Smoking, drugs and alcohol take vitamins away from your body. Learn why these are more harmful than you think. You can create your own healthy, well-balanced snacks and “The Resourceful Mother” will give you hands on training. Even by implementing a few of the ideas you’ll learn at this seminar, your body will thank you! Dare to be different. There is so much focus on raising healthy children but what about you, their mother? If you are not healthy or feeling energetic, how are you going to be the best for yourself and your child? How you take care of yourself is one of the most important indicators of your child’s health and happiness. Come learn how to set the best example for your child! Kindly contact us for further details. We will customize the information to suit your needs! Please contact Nutri Well to discuss the ways we can help improve your employees’ health and fitness while keeping within your budget. Please call Miss Neetu Yadav 91-9648888820 / 8081678000 for more details.